Random Thoughts of Gil Camporazo: What Makes Scouting Distinct? Boy Scouts are trained to be responsible citizens, said City Assistant Scout Commissioner Ferdinand S. Sy of La Carlota Scouting Council in the opening ceremony of the first Patrol Leaders Training Course in Haguimit Elementary School Saturday, November 5, 2011. "No amount of training could be useful, if it's not applied in school, in the community, or in our country," stressed Sy. Scouting movement is one of the distinct organizations. Every member of scouting is identified as such for the presence of their uniform, Sy said. This organization is also known for its activities like camping, aquatics, hiking, backpacking, sports, woodcrafts. He believed that a scouter could lead his whole life better for he started with a training. He became an independent individual for what he learned from survival training. In short, the training molded him to be a responsible citizen or person of his family, of his community, and of his country. 41 million members has the boy scouting movement, he informed. He said Lord Baden-Powell who is a great man with great love for God, and a love to God founded scouting n 1907. B-P lives in Brownsea Island, England. The Philippine scouting is already 22 years old since its founding in 1923. 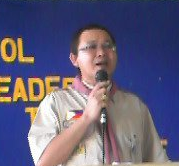 He mentioned the 7 pillars of Philippine scouting. It started with General Vicente Lim, followed by Joseph Emile Hamilton Stevenot, General A. Daza, Manuel Camus, Carlos P. Romulo, Jorge B. Vargas, and Arsenio Luz. These Filipino pioneers in scouting firmly believed that scouting has a great part in molding the character of the youth as a true citizen of the country in training them to be religiously, civilly and patriotically responsible for it. Scouting in the Philippines has three missions: First loving God, country and fellowmen. Second, train youth to become responsible leaders. And third, contribute to nation-building. One hundred twenty-five boy scouts representing the different elementary schools in the Division of La Carlota participated in the 3-day Patrol Leaders Training Courses (PLTC) conducted by the La Carlota Scouting Council committee with the approval of the Negros Occidental Council, Boy Scouts of the Philippines (NOC-BSP). The boys were trained on patrol organization, scouting skills, first aid, woogle making, lashing, know tying, and how to run a campfire. The training staff was composed of ALT/CMT Mark Tompong as course leader, SWBH Tracy Hiceta as senior patrol leader, SWBH Terry Espartero. 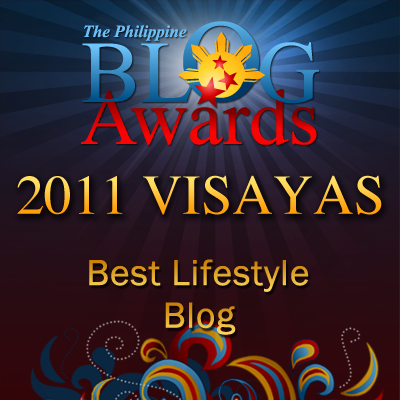 The trainors were SWBH Revilyn Solomon, SWBH Gemima Obelidon, ALT/CMT Sol T. Moleta, SWBH Rene Malo, and the writer. While Dr. Aquino I. Torrefranca, the BSP-Negros Occidental council training commissioner served as the overall training supervisor.